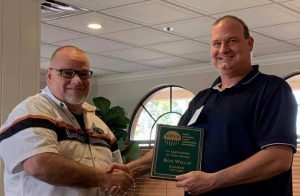 Current President Scott Ruete presenting outgoing President Ron Willis a plaque thanking him for his two years service as President of NAFCA. 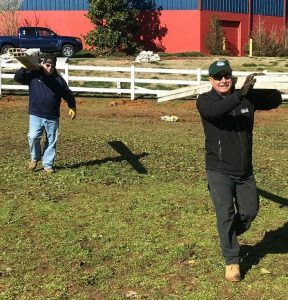 NAFCA enjoys an active board of seasoned fence professionals who work together for the betterment of the fence industry. Please see below for the background of our Executive Board. Scott B. Ruete works at Builders Fence in Sterling, VA. He has been married 31 years to Diane Ruete, lives in Damascus, MD and has two sons, Scott Jr. & Brian. He served in the US Coast Guard in Law Enforcement, Search and Rescue, and ATON (Aids to Navigation). He has been involved in the fence industry for 28 years in both installation and sales. Currently he performs commercial and residential sales for Builders Fence Company, Sterling, VA. He is a Past President of NAFCA and also is currently Chairman of the NAFCA-Arlington National Cemetery Annual Project. 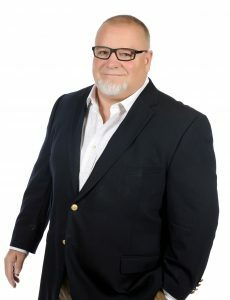 Al is the Co-Owner & Director of CAM Solutions and Fence Armor. He is part of the following groups and associations: CFIA (Canadian Fence Industry Association – Vice President), NAFCA (North American Fence Contractors Association – Vice President), Victory Junction (Proud Supporter), Arlington Cemetery Annual Project (Proud Supporter), Petty Group Sponsor (Sponsorship for Thad Moffitt – ARCA), and SME (Society of Manufacturing Engineers). He is an accomplished director of two growing companies and makes the term “hardworking”an understatement. Building and integrating technologies with a focus on manufacturing makes CAM Solutions who they are today. Inventing Fence Armor; their latest brain child, has been an exciting new endeavour. Bringing it to market with his business partner Luis Ruivo, speaks to his core business ethic of getting the job done, and done right. “Made in North America is not just a statement without conviction, it is at the heart our company and it drills down to even the smallest details like ordering pads, stickers and other supplies. We create an American-made product, made by Americans, in North America. What could be better than keeping the jobs at home!” When he is able to escape and enjoy some downtime, he enjoys to ski, kayak, cycle, walk and take vacations with his boys at various destinations around the world. Al likes to work his body and feed his mind on products and adventures that go beyond. About 2 years ago Al was on the season finale of Dragon’s Den, the American equivalent of Shark Tank. He had filmed all day and had to compete against another company to earn time with the Dragon’s. At the end of the day, after he had completed his mission and secured a deal, he tried to walk off the set only to face the final challenge……. the exit door. A good laugh to conclude the day! Chris Ward-Horner is President of Hampden Fence Supply, Inc. in Agawam, MA. 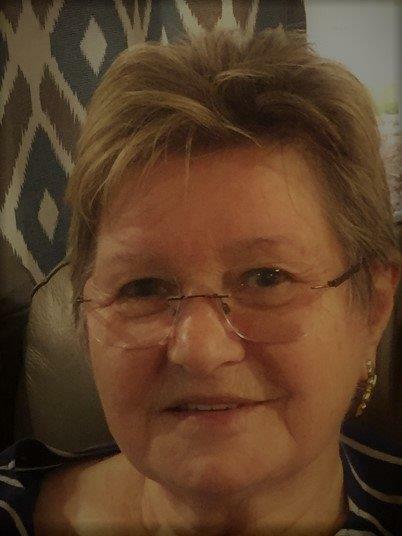 She was CFO for Hampden Fence Supply for many years and has been the owner for the since 2010. Hampden Fence is a manufacturer of domestic chain link fence fittings and a distributor of domestic and foreign fence fittings. Chris joined the North American Fence Contractor Association in 2014 and became the Treasurer in 2015. 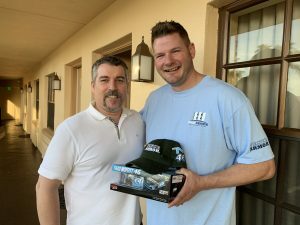 Dustin Weimann, right, with Luis Ruivo of Fence Armor, pictured left, at Fence Training School 2019. Dustin has been in the fence industry eleven years. He recently started his own company, D&D Fence, in West Bend, WI. He enjoys working at different venues everyday and working outside in the beautiful Wisconsin weather year round. He lives with his wonderful wife, Amber, and their three children: Brady, Sydney, and Hunter. He loves talking and working with everyone surrounded with NAFCA. The NAFCA events are for great causes and he could not be prouder to be a part of this organization. The relationships we build would have never happened if it wasn’t for the fence industry. “Fencing is my life and I would have it no other way; it is what I love to do!”. Dustin is one of our chain link instructors at Fence Training School. Clint Iams grew up around the fence industry tagging along with his parents to fence jobs. 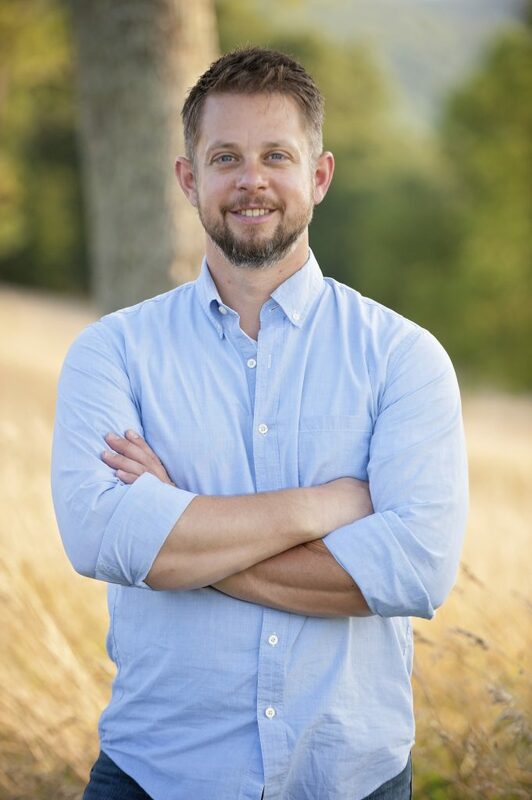 A 2002 graduate from Washington and Jefferson College with a degree in Accounting and Entrepreneurial studies, Clint began his career as an auditor with the global firm KPMG in Pittsburgh, PA. In 2006, he joined his parents at Log Cabin Fence where they install farm and ranch fence and fabric hoop structures. Clint estimates jobs and oversees their installation crews. He co-instructs the Farm and Ranch Class at Fence Training School. He lives in Amity, PA with his wife, Nicole, and their four kids. They enjoy traveling, camping, good food, and laughter.